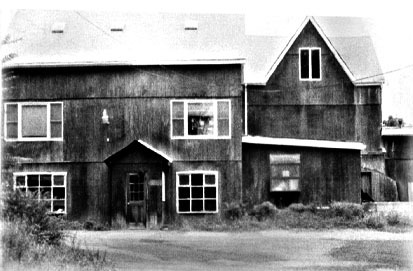 In January, 1994 Croton Egg Farm was purchased by Frank Realbuto, Jim Realbuto and George Betchley. They continued operating the fresh egg distribution business that had been servicing the Hudson Valley for decades from their Peekskill, NY farm location. In March 1994, George had sold his shares to Robert Covone. As the company grew, they decided it would be best to relocate, so that they could continue to grow and service their growing customer base. In late 1994, the company headed northeast to Brewster, NY. There they were able to offer new products, and answer the needs of their customers. With their 3 drivers, they made the move. In 1996, Frank and Robert bought James remaining shares. In 1999, Croton Egg Farm acquired a small egg distribution from Orange County, NY. Hodgen’s Farms, like Croton Egg Farm, prided themselves on delivering farm fresh eggs. In 2000, Croton merged with another dairy company from Mount Vernon, NY. Sunrise Farms was a family run company as well, that serviced primarily Westchester county. As the years past, not only did the product list grow, but a fleet of trucks began to emerge, and the company took on a new name Croton Farms. 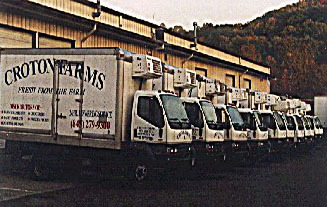 The three box truck operation became a ten truck refrigerated operation, and was now covering the Tri- state region The 4000 square foot warehouse that was once considered oversized was not only filling quickly, but expansions over the next ten years increased the facility size to over 20,000 square feet. Today Croton Farms has twenty daily routes serving the Tri-state region. Today, Croton Farms grown into become a one stop food distributor, offering their customers refrigerated timely service, with competitive pricing. We know that customer satisfaction is more than simply delivering quality products. It start with our dedicated and knowledgeable sales team, trained to help our customers not only save money, but make right choices and offer new menu suggestions, maximizing their profitability. Croton farms has eight sales representatives in the field. Our Friendly drivers are devoted to making sure each customer receives their order in a timely manner. They understand the importance of servicing each and every customer no matter how big or small.